Commercial Heating, Lakeland, FL | Johnson's Mechanical Inc. Commercial Heating, Lakeland, FL | Johnson's Mechanical Inc. When you need a trusted resource for commercial heating in Lakeland, FL, we are your number one choice. The proper heating of your commercial business can be a challenge, especially when you may not be entirely sure of the last time your system had maintenance. The worst case scenario is that you suddenly have a heating emergency and you don’t know who to call. 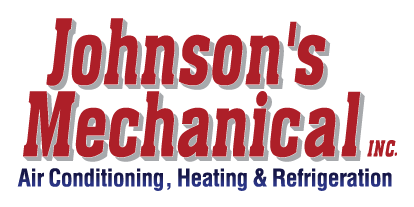 When you need a trusted resource for commercial heating, you will find our team at Johnson’s Mechanical Inc. is your number one choice in Lakeland, FL. Preventative Maintenance – Preventative maintenance is often the best way to keep your commercial heating system running its best from year to year. We offer maintenance programs, so you can get the best value and keep your system running efficiently. Service All Major Brands – No matter where your commercial heating system was purchased, we are proud to service all major brands. If you aren’t sure what needs to be done to get your system working again, we have the experience to answer your questions and get your heating system running. Customer Satisfaction – We’ve been in business since 1982, and our customers keep coming back to us because they know they won’t find better customer service anywhere else. Our professional technicians are trained to provide fast, reliable repairs or address your concerns when it comes to new installation. Whether you need us for 24/7 emergency service or believe our commercial heating maintenance plan may be right for you, we have everything you need at Johnson’s Mechanical Inc. We pride ourselves on honesty and integrity, and you will enjoy working with us for all your commercial heating and cooling needs. Contact us today to learn more. We look forward to hearing from you.